Alignment in the bore makes the true ball system as innovative today as it was when it was released. 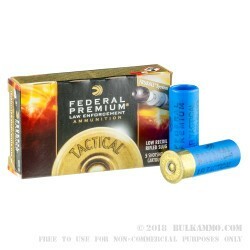 It’s been a great system for Federal, and has helped smooth bore slug shooters achieve tighter groups with less difficulty than other rounds. 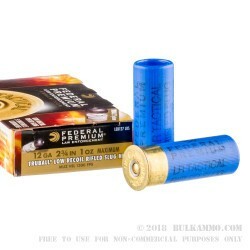 This load is a Federal Premium Law Enforcement based round that has a reduced recoil and a 1 oz slug that claims to shoot 2” groups at 40-60 yards. For threat interdiction at this range, it is a very capable round. The amount of lead on target and the potential for such great accuracy is a game changer for LE professionals. Similarly this can be used in like situations for civilian shooters who see the need for longer range self-defense/personal protection and can justify engagement at this distance. 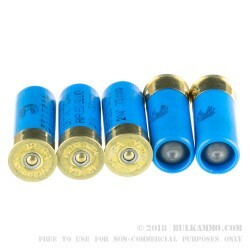 Doubling as a range specialty round for different tasks, and suitable for some hunting needs, this is a relatively versatile round. 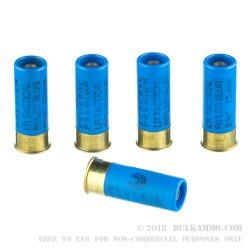 It is not the crazy-heavy rifled slugs that offer the most lead on target, and it is no lightweight either, so it fills a good space between specialty slugs out of a smooth bore, and inaccurate patterns by shot-based loads that can start as early as #3 or even in the buckshot ranges at distances past 35 yards.